I had the best time there, and some pretty delicious meals. Everything in New York is done bigger and with a certain flair. Even a burger. I spent a lot of time walking around the Theatre District. 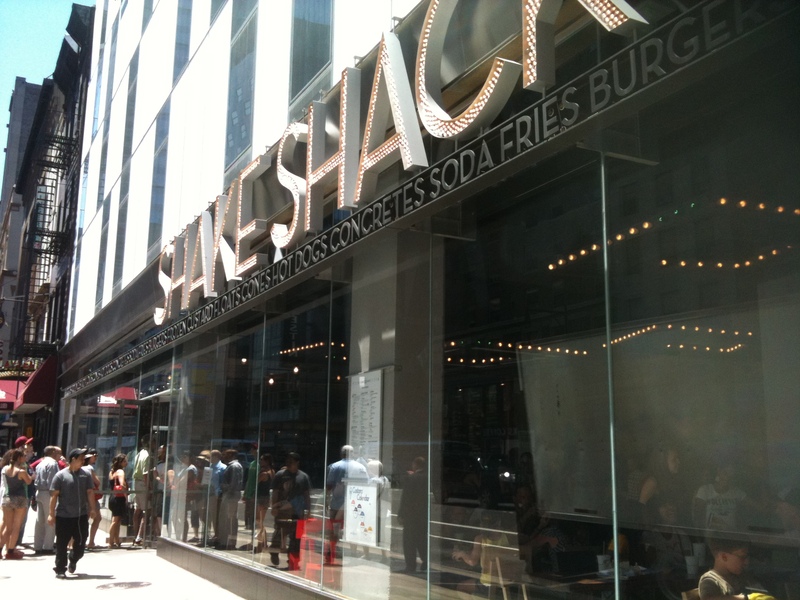 And every time I walked by this burger joint, there was a massive line up – every single time! I knew I had to try it. If you love burgers, you’ll love this place. Their burgers are hand made fresh and cooked to order, They only use 100% Angus beef. Their fries are crispy beyond belief, and they taste unbelievable. They use grilled potato buns, and if you’ve never had a potato bun, let me describe it for you – It’s like your burger is enclosed in a fluffy, tasty, cloud. Their menu is very simple: Burgers, fries, shakes, frozen custard, and floats. They have beer and wine as well. I waited in line for over half an hour to order, and by then I was annoyed. Really? half an hour to order a burger? How good could it be? I ordered the ShackBurger ($4.50) with pickles. 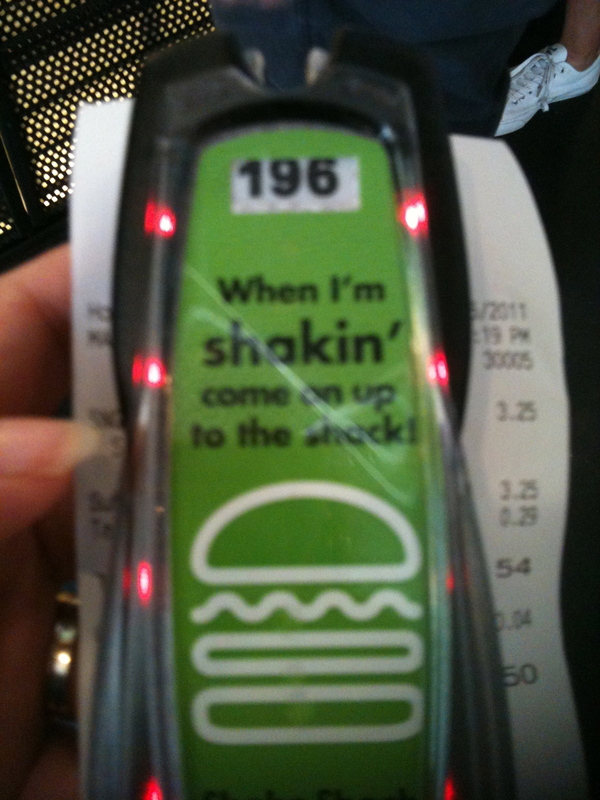 (You have to ask for pickles, otherwise the burger only comes with cheese, lettuce, onion and tomato). You have to order the fries separately for $2.65. Waiting half an hour? SO TOTALLY WORTH IT! The burger was so juicy and the potato bun simply melts in your mouth. The cheese was this American Cheese blend, and it was sinfully delicious. I mean, I knew I was consuming like the daily calorie intake of a small country, but I didn’t care! The burgers are a tad small, but they carry a mighty punch of flavour! Smaller burger only meant one thing: I had room for dessert! Yay! I decided to try the Frozen Custard. This is a cold dessert similar to ice cream, but it’s made with eggs, as well as milk and sugar, then mixed at very high speeds. The result is a thicker, creamier frozen dessert. 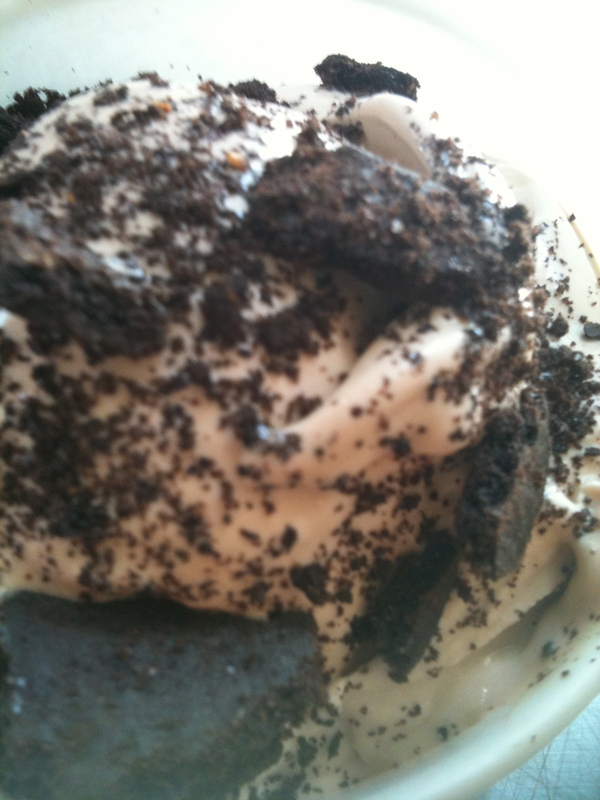 Why oh why don’t we have frozen custard in Vancouver??? So cruel! This dessert was so delicious, I almost licked my bowl clean. I had to stop because the funny looks I was getting. 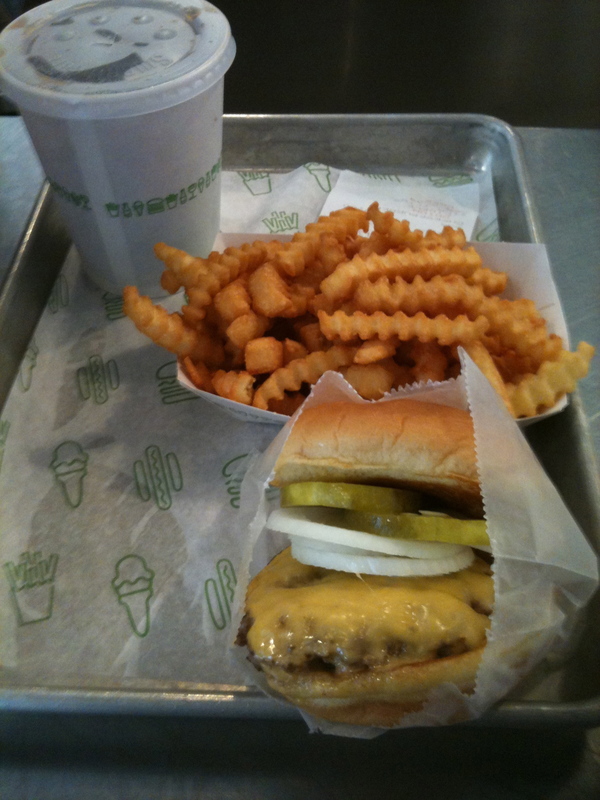 If you’re in NYC, you have to try Shake Shack.